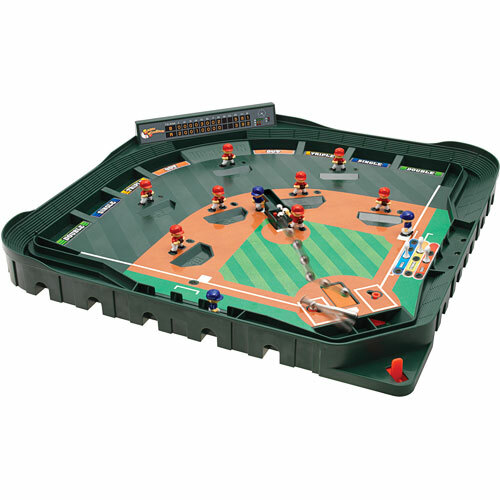 Future hall-of-famers will love this huge playing field (16½" square), with a working scoreboard and a magnetized infield that changes up each pitch. There’s a spring-loaded bat ready to swing (right- or left-handed) at pitches of varying speeds. 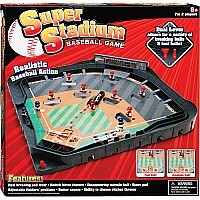 A pitcher, 3 base runners, 7 fielders, and 5 balls add up to the coolest gift ever for fans of America’s signature game! 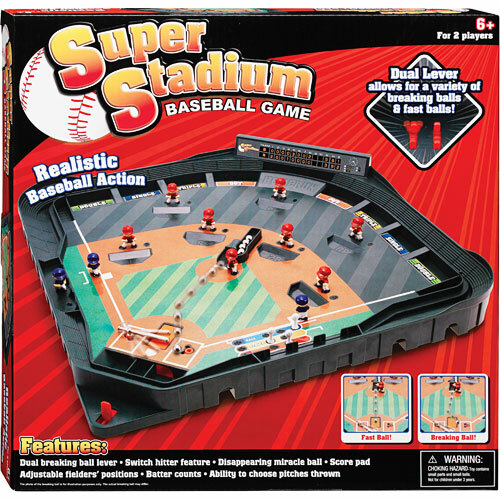 From International Playthings LLC for ages 6-12 yrs.